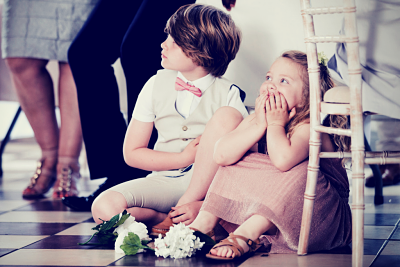 Weddings are all about family and I’m firmly of the belief that children can make them extra special. A wedding day is a celebration of love, togetherness and commitment and I think that’s a really positive message to show to our little ones. The secret to ensuring your guests and mini-guests have an epic time is to make sure everyone is having a blast throughout. With that in mind, take a look below at some of our fantastic acts that keep tire out the kids and make sure your day is as stress-free as possible. Fun, Silly, hilarious, Children’s Variety Show. The Adam Allsortz Show will have the Children in absolute hysterics as well as guaranteed to be leaving the party with a restored/renewed belief in magic. The show is a mix of magic; from a colourful traffic light trick to a hilarious routine with a waiter and his disappearing cup, interactive songs and dances, games and prizes and even a joke competition. The Adam Allsortz Children's Magic Show is something you'll be raving to your friends about. Some of the wonderful talents Lucy can offer you are, magic shows, circus skills, balloon modelling. With over 15 Years’ Experience in the industry Lucy knows exactly what is needed to bring smiles, laughter and happiness to your event. She performs at schools, private birthdays, Children’s Birthday Parties, clubs and practically any family event. She combines her many talents to offer you a unique blend of entertainment suitable for all occasions and any budget. From delicate jewellery and intricate costuming to their very own signature designs, let them dazzle you with their brilliant balloon creations. Flamboyant and mischievous, Inflate-a-Belles bring an exciting spectacle to any event, and leave a long-lasting impression wherever they go! If you’re planning a pretty outdoor wedding ceremony or reception, then a great way to entertain your guests is with some classic games that can be played outside. Not only is this a perfect ice breaker for friends and family who might be meeting for the first time, it’s also a brilliant way to get everyone involved and having fun – not to mention you’ll get loads of priceless photo moments. Joypad was born out of an enduring love of retro gaming. Like everyone who played these games as a kid, we remembered them with a heady mixture of exhilaration and frustration: the highs and lows experienced as we swung between defeat and triumph. If you're looking for a way to keep the kids busy whilst the adults party away then get in touch with one of our friendly and helpfull team today!